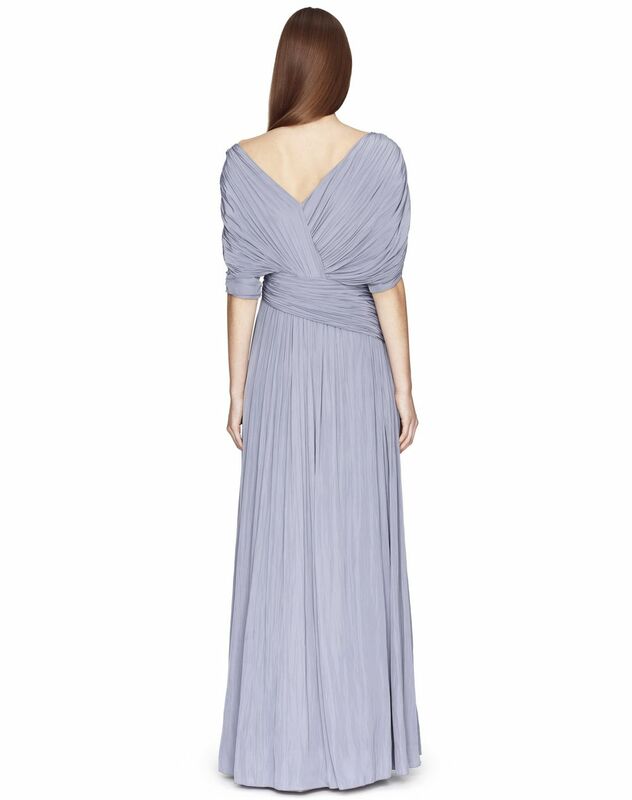 Long concrete-colored silk weave dress, elbow-length sleeves, V-neck and V-back, strap detail at the back neckline, asymmetric draped detail, fitted waist with pleated appliqué inset, and invisible closure on the right side. 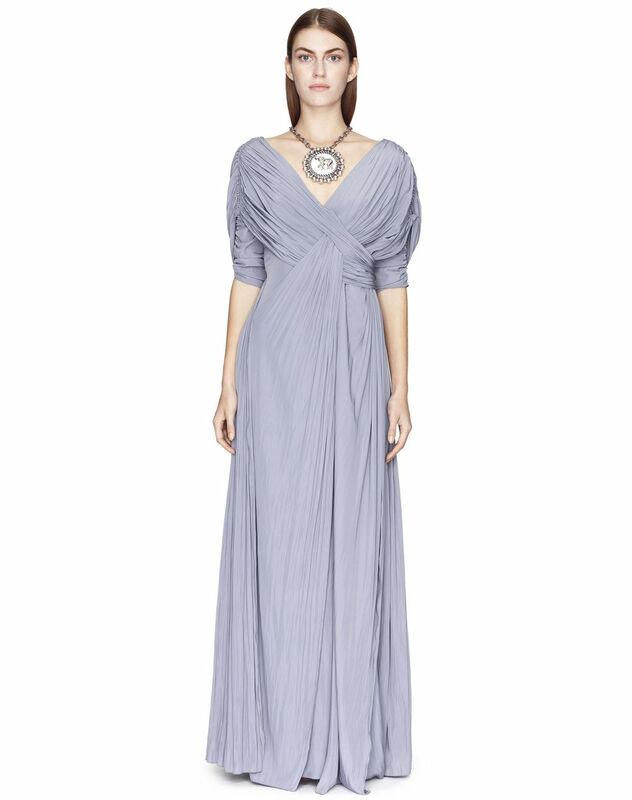 In a modern, luminous color, this evening dress stands out for its refined material, draping and structured cut. The fitted waist and lustrous material accentuate the silhouette, while the draping elegantly emphasizes the bust. This sophisticated dress offers a flowing, ethereal look when worn. Main material: 100% silk weave. Model's measurements: Height: 5’ 10” Chest: 33” Waist: 23.2” Hips: 34.6” Model wears a size 4. Made in France.